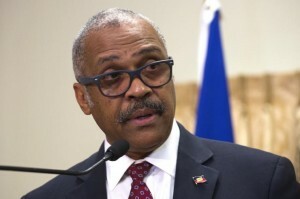 PORT-AU-PRINCE - Haiti’s Prime Minister Jack Guy Lafontant has resigned amid violent protests that had been sparked by a proposed plan to raise fuel prices. His decision was announced yesterday by President Jovenel Moïse who accepted the resignation. Lafontant’s move came ahead of a planned vote of no confidence in Parliament. “I take this opportunity to thank Mr Lafontant and the members of the Cabinet for the services rendered to the nation,” Moïse said on Twitter. Lafontant, who took office in early 2017, had been under pressure to resign following the initial announcement that the cost of gasoline would be going up by 38 per cent, diesel by 47 per cent and kerosene by 51 per cent to help balance the budget, as part of an agreement with the International Monetary Fund. During the July 6 to 8 protests, at least two people were killed. Even though the Prime Minister subsequently announced the price hikes would be suspended, the demonstrations continued, as did the calls for him to resign.